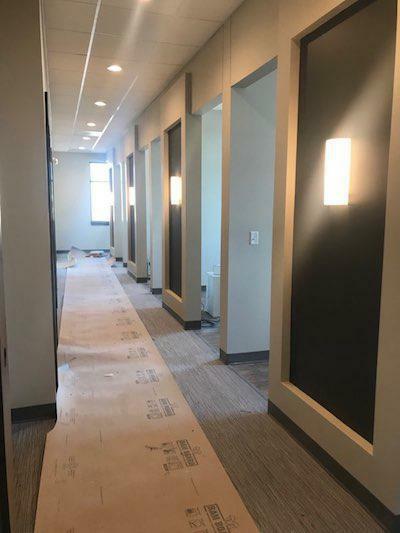 Check back to see the progress of our new location, 1610 Willis Court, in Paola! The building is just south of Sonic Drive-In on Holly Lane. 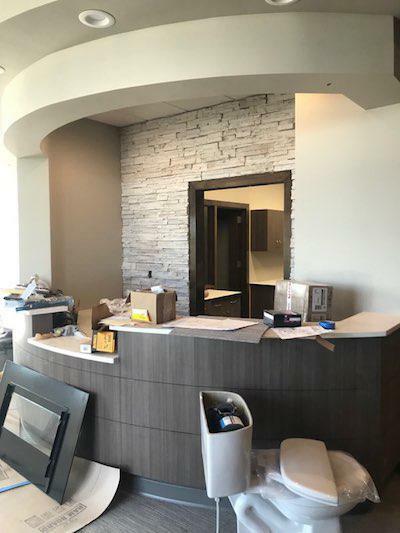 We hope to start seeing patients on Monday, April 1st! 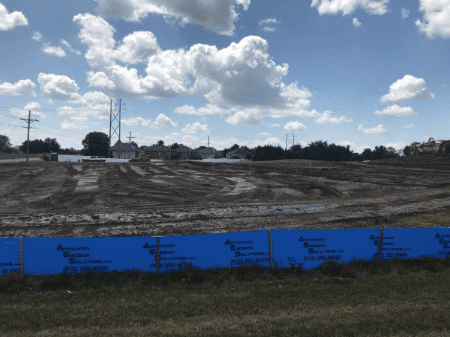 8/1/2018 - Groundbreaking. 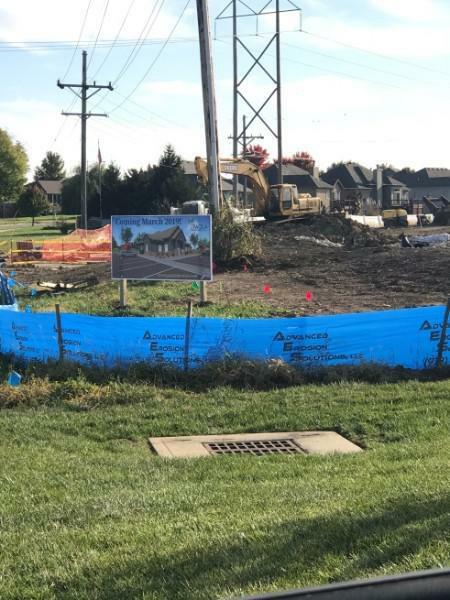 After nearly a year of behind-the-scenes work, the crews break ground on our new location just South of Sonic on Holly Lane in Paola. 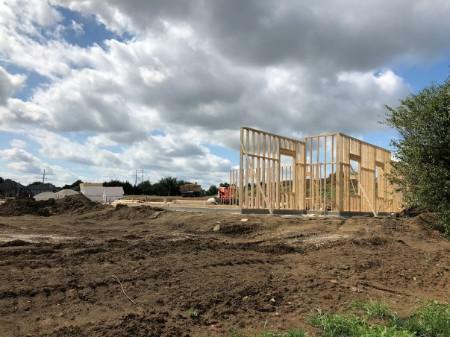 Soon the foundation is poured, and framing starts. 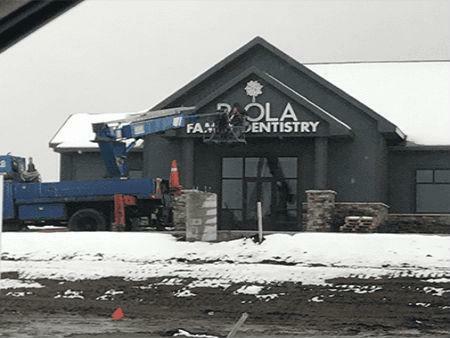 Dr. Howard posts a sign so the community knows what’s going up – The new home of Paola Family Dentistry! 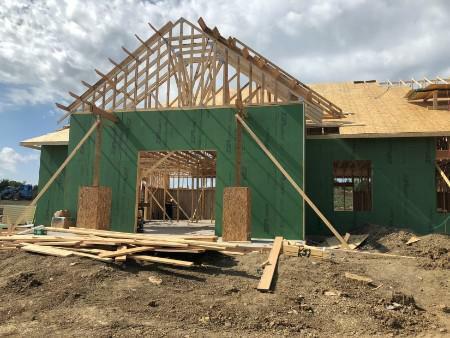 October: Sheetrock walls are up and the roofing begins! 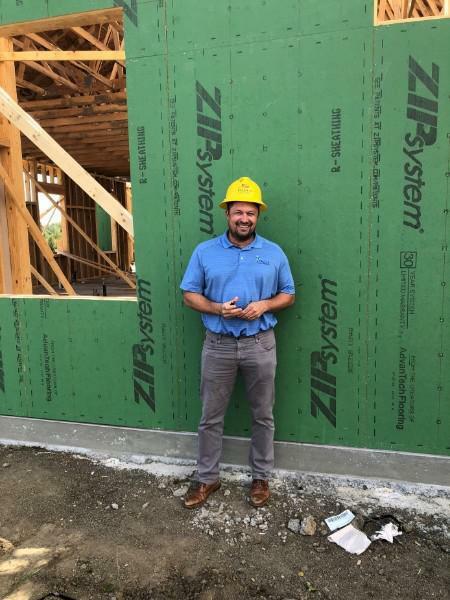 Dr. H gives us a smile as his vision begins to take shape. 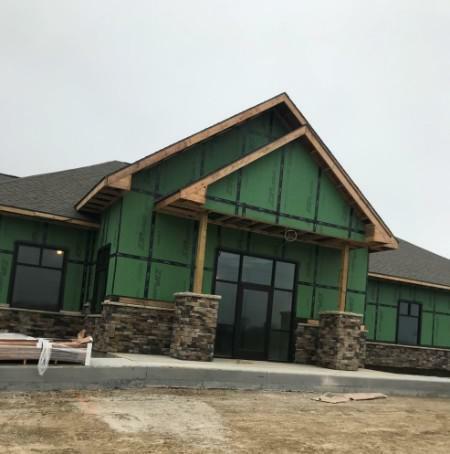 December: Windows and doors have been installed, the exterior stone is applied and we get our first peek at the interior! We will have 6 functional operatories here, and room to grow into two more in the future. 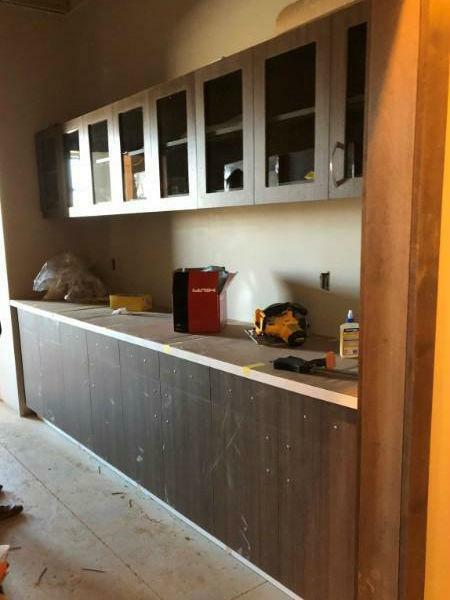 January: The interior begins to take shape with a beautiful and welcoming entryway, and cabinetry. 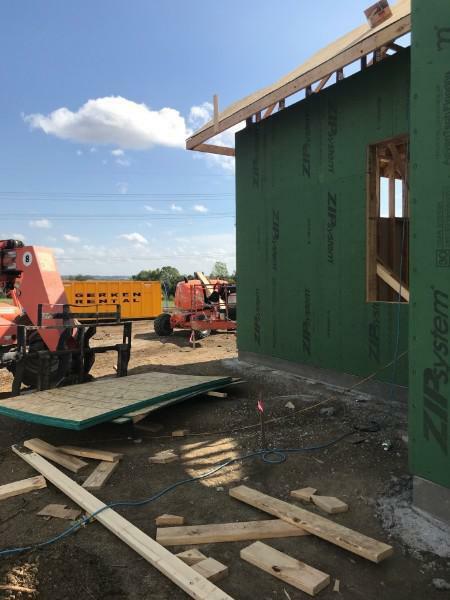 Exterior siding is complete, and the end is almost in sight! 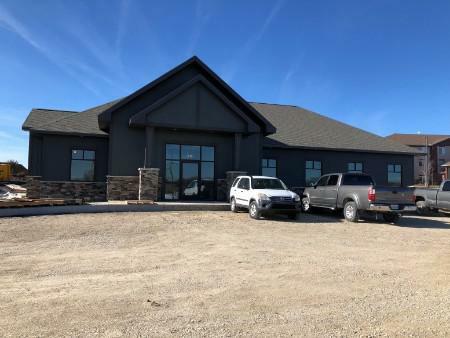 We expect to move into the building on March 1st, and begin seeing patients Monday, March 4th. Mark your calendars for Friday, March 22nd! 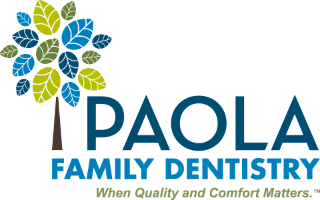 Paola Family Dentistry is hosting an Open House from 10-1 at our new location, 1610 Willis Court. 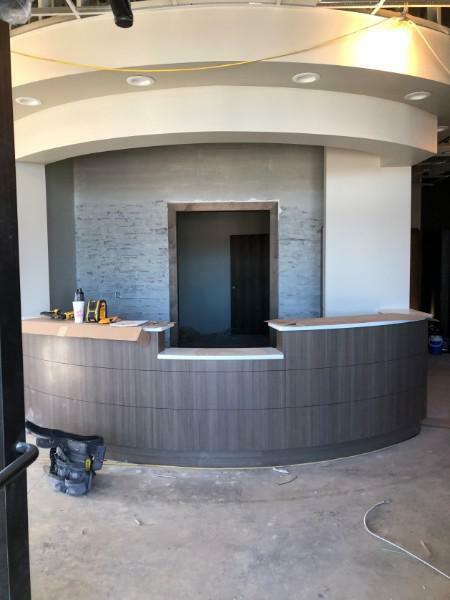 There will be tours of the new office, prize giveaways, and food catered by The BBQ Shack. This event to open to the public, so prospective and existing patients are welcome to join the fun! February: We start to see the end in sight! 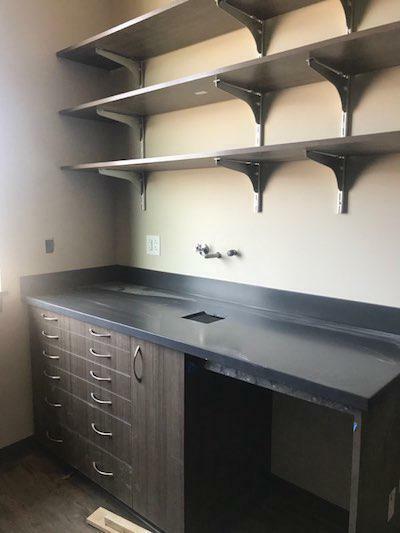 Flooring, lights, counter tops, and plumbing fixtures are installed. 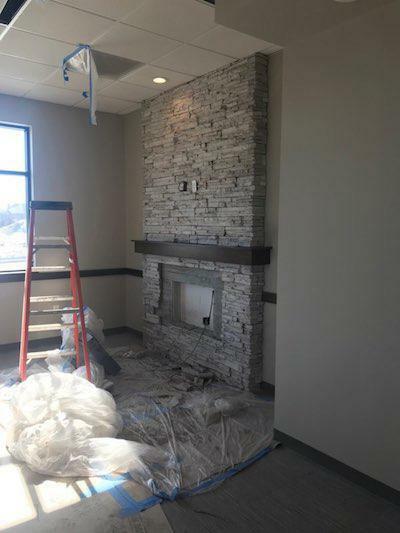 The rock facing in the interior entrance and on the fireplace are complete. 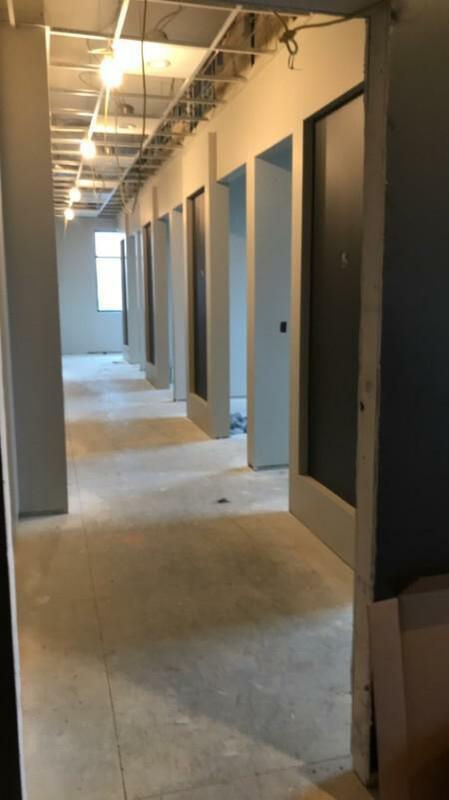 Interior doorways are framed and doors are installed. Due to the weather and the amount of moisture this winter, we are delayed in pouring the asphalt parking lot. Because of the delay, we must push the opening back from March 1st to April 1st. 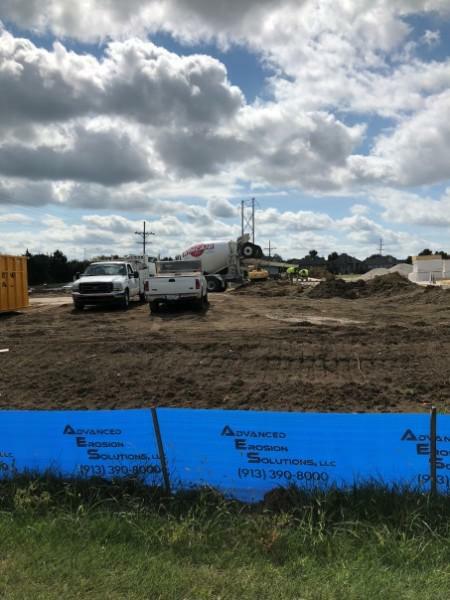 All we're waiting on now is some warm weather to pour asphalt, and our operatory equipment to be delivered this month. 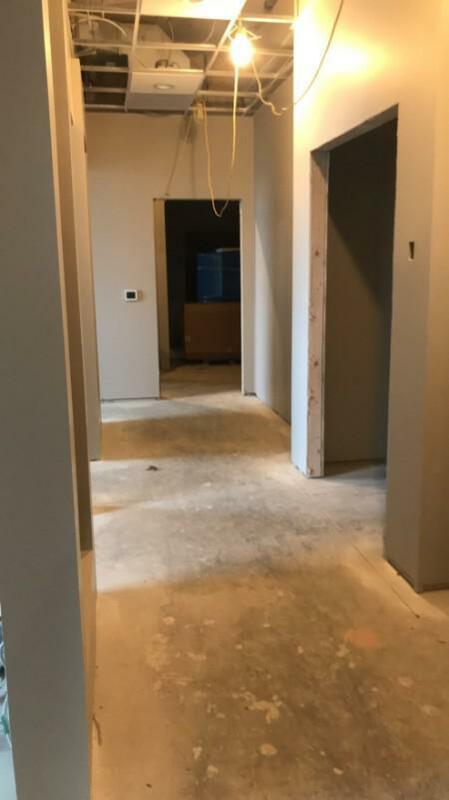 Soon we will be ready to move in!